News: Teague has opted to exercise his $19-million player option for the 2019-20 season, Jon Krawczynski of The Athletic reports. Impact: Given that Teague will be entering his age 31 season and played just 42 games in 2018-19, this was to be expected. That said, he managed to set a career high in assists per game (8.2). His scoring took a hit, however, and that may have been due to his recurring injury situation. He scored just 12.1 points per game -- his lowest mark since the 2010-11 season. News: Saric ended with 11 points (4-13 FG, 0-5 3Pt, 3-3 FT), seven rebounds, and three assists in 29 minutes during Wednesday's 99-95 loss to the Nuggets. Impact: Saric brought to an end his somber season, scoring just 11 points in the Timberwolves loss to Denver. Saric has been disappointing since joining the Timberwolves and given the fact a number of players have been sidelined for significant periods of time, his poor production is even more concerning. Heading into next season, he is certainly not going to be a player to target in standard formats, depending of course on the offseason moves the Timberwolves may or may not make. News: Wiggins tallied 25 points (11-20 FG, 3-6 3Pt, 0-1 FT), five rebounds, and four assists in 36 minutes during Wednesday's 99-95 loss to Denver. Impact: Wiggins paced the Timberwolves with 25 points in Wednesday's loss, bringing to an end what was a disappointing season for both himself and the team. He continues to be one of the more frustrating players across all fantasy formats, with his upside typically outweighed by his lack of effort on both ends of the floor. He continues to struggle from the free-throw line and outside of a few random performances, his defense in basically non-existent. News: Dieng amassed 18 points (8-20 FG, 2-4 3Pt), 11 rebounds, three steals, and two assists in 34 minutes during Wednesday's 99-95 loss to Denver. Impact: Dieng stepped up for the second game in a row Wednesday, ending with 18 points and 11 rebounds in 34 minutes. His last two efforts certainly demonstrate his ability to have fantasy value when afforded the playing time. Unfortunately for him, that seems unlikely as long as he is playing behind Karl-Anthony Towns. If he manages to somehow change teams, his role could become more prominent and therefore also increase his overall value. News: Teague successfully underwent a debridement of his left ankle. Impact: Teague was able to play in just 42 games this season after dealing with an ankle injury. The surgery doesn't seem to be anything serious, as the procedure was done to clean out around the injured ankle. It seems as though he should be good to go for training camp next season, but a more definitive timeline should come out in the near future. News: Gibson (calf) has been ruled out of Wednesday's game against the Nuggets. Impact: Gibson's season is officially over, ending the season with 10 consecutive absences. He'll finish the season averaging 10.8 points and 6.5 rebounds over 24.1 minutes per games. News: Towns (knee) has been out for Wednesday's game against Denver, Christian Clark of BSNDenver.com reports. Impact: Towns will miss Wednesday's season finale due to inflammation in his right knee. For the 2018-19 season, Towns put up 24.4 points, 12.4 rebounds, 3.4 assists and 1.6 blocks in 33.1 minutes per game. News: Bayless (ankle) is questionable for Wednesday's regular-season finale against the Nuggets, Mike Singer of The Denver Post reports. Impact: Bayless has missed the past two games due to a right ankle injury, and it's possible we've seen the last of him this season. More information may arrive closer to tipoff. News: Towns (knee) is doubtful for Wednesday's finale against the Nuggets. Impact: It's likely Towns will sit out for the second straight game, and he's probably played his final game of the year. Assuming that's the case, he'll finish averaging 24.4 points, 12.4 rebounds, 3.4 assists and 1.6 blocks in 33.1 minutes. News: Gibson (calf) will not play Tuesday against Toronto, Blake Murphy of The Athletic reports. Impact: No surprise here, as Gibson will remain sidelined for the 10th consecutive contest. The veteran will likely sit out the season finale Wednesday in Denver, as well. News: Bayless (ankle) will not play Tuesday against Toronto, Blake Murphy of The Athletic reports. Impact: The veteran will miss a second straight game, so expect Tyus Jones to see the bulk of the minutes at point guard, with Jared Terrell potentially in line for a larger role off the bench. News: Dieng will start Tuesday's contest against the Raptors, Danny Cunningham of 1500 ESPN Twin Cities reports. Impact: Dieng will make his first start of the year with Karl-Anthony Towns (knee) out. Dieng has seen 20-plus minutes on 10 occasions, averaging 9.9 points, 5.5 rebounds, 2.0 assists, 1.4 blocks and 1.4 steals in those contests. News: Towns (knee) is out Tuesday against the Raptors, Jace Frederick of St. Paul Pioneer Press reports. Impact: Towns is dealing with right knee inflammation, and with the Wolves playing inconsequential basketball, he won't risk further injury. Towns will travel with the team for Wednesday's season finale in Denver, but it's unclear if he'll be available. News: Creek agreed to a contract with Minnesota on Tuesday. Impact: Creek spent the majority of his 2018-2019 campaign in the G League with Long Island, averaging 15.3 points along with 5.5 boards and 2.3 assists in 41 games. He also signed a pair of 10-day deals with Brooklyn prior to coming to terms on a 10-day contract with Minnesota at the end of March. The exact details surrounding Creek's contract were not released. News: Bayless (ankle) is listed as questionable for Tuesday's game against Toronto. Impact: Bayless was a late scratch from Sunday's game against Oklahoma City due to a bruised right ankle, and he will likely end up being a game-time decision once again Tuesday. News: Gibson (calf) is listed as doubtful for Tuesday's game against the Raptors. Impact: This will be Gibson's 10th straight absence due to a left calf strain. His last chance to play this season will come in Wednesday's finale against Denver, but it seems safe to say that that the veteran forward is done for the season. News: Towns is listed as questionable for Tuesday's game against the Raptors with right knee inflammation. Impact: Towns is coming off a monster offensive performance Sunday against the Thunder where he recorded 35 points and seven rebounds, but he appears to have emerged with some knee issues. It's likely not anything serious, however, and given that the Timberwolves have just two games left in their season, the decision to play or not will likely be Towns' in the end. News: Gibson (calf) is out for Tuesday's game against Toronto. Impact: Gibson is set to miss his 10th straight matchup while dealing with a left calf strain. He'll have one final chance to return Wednesday in Denver. News: Deng (Achilles) won't play Tuesday against Toronto. Impact: Deng still hasn't played since Feb. 27, so his absence is expected at this point. He seems unlikely to return for the last regular-season contest Wednesday in Denver. News: Jones totaled 10 points (3-8 FG, 0-1 3Pt, 4-4 FT), 13 assists and five rebounds over 35 minutes Sunday against the Thunder. Impact: Jones was one of four Minnesota starters to finish in double figures, but he was most impressive when distributing the basketball. He's handed out 10 or more assists in two of his previous four contests and has racked up 10 or more points in each of those matchups. He'll look to finish the final two games of the regular season on a high note. News: Saric scored 23 points (9-15 FG, 5-9 3Pt) and collected three rebounds along with an assist and a block over 32 minutes Sunday against Oklahoma City. Impact: Saric turned in a decent final line and scored 15 of his 23 points from beyond the arc in a 132-126 loss. The 24-year-old is averaging just over 10 points over 78 matchups this season, so Sunday's production was a pleasant surprise for fantasy owners. Even so, he likely shouldn't be trusted to sustain this high level of play through the final two games of the regular season. News: Wiggins compiled 24 points (9-15 FG, 3-5 3Pt, 3-5 FT), five rebounds, four assists and two steals over 34 minutes Sunday against the Thunder. Impact: Wiggins shot an impressive 60 percent from the field on a night when the Timberwolves would score 126 points, although it wouldn't be enough to overcome the Thunder's explosive offense. The Kansas product's scoring contributions have remained steady down the stretch of the regular season, averaging 20.4 points in his previous 10 contests. News: Towns registered 35 points (11-18 FG, 0-1 3Pt, 13-14 FT), seven rebounds, two assists, two steals and a block over 33 minutes Sunday against Oklahoma City. Impact: Towns erupted for a game-high 35 points, although the Timberwolves would fall 132-126. The 23-year-old center was limited to just 13 points in his team's previous matchup Friday night against the Heat, but he responded with one of his better performances of the season. Towns continues to play big minutes even though Minnesota has no chance of a playoff berth. News: Gibson (calf) will not play Sunday against the Thunder. Impact: Gibson as considered doubtful coming in, so this shouldn't come as too much of a surprise. The veteran hasn't played since Mar. 19. and at this point it seems rather likely we've seen the last of Gibson for this season. News: Bayless (ankle) is inactive Sunday versus the Thunder. Impact: Bayless, who will dress but won't play against the Thunder, was a late addition to the injury report Sunday with a sore right ankle. Bayless' next chance at returning to the court will be Tuesday versus the Raptors. Tyus Jones figures to play a large role Sunday. News: Bayless (ankle) will not play Sunday against the Thunder. Impact: Bayless is battling a bruised right ankle, and while he'll be on the bench and dressed, the veteran will not take the floor. Expect Tyus Jones to play heavy minutes at point guard. News: Bayless is listed as questionable for Sunday's game against the Thunder due to a right ankle contusion. Impact: It doesn't appear as though Bayless suffered the injury during Friday's game against the Heat, as the veteran guard was a late add to the injury report for Sunday's matchup. It's currently unknown how severe Bayless' ankle injury is, but for now, considered him a game-time call versus the Thunder on Sunday. News: Deng (Achilles) is out Sunday against the Thunder. Impact: As expected, Deng will continue to miss time. It would be shocking if he played again this season. News: Gibson (calf) is doubtful Sunday against the Thunder. Impact: The Timberwolves continue to list Gibson as doubtful ahead of games, but he hasn't played since March 21. There are no indications he's expected to return before the end of the regular season. News: Okogie had six points (2-7 FG, 0-2 3Pt, 2-2 FT), five steals, and two assists in 22 minutes during Friday's 111-109 win over the Heat. Impact: Okogie finished with a career high in steals despite playing less than half the game. The 20-year-old rookie continues to put forth admirable effort on the defensive end, but his inefficient and inconsistent offense limits his value to deeper formats. News: Saric supplied 19 points (6-10 FG, 2-4 3Pt, 5-5 FT), seven rebounds, and five assists in 29 minutes during Friday's 111-109 win over the Heat. Impact: Saric was efficient offensively while providing a fairly well-rounded stat line. His inconsistent production makes it difficult to trust him outside of deeper leagues. Still, Saric is clearly capable of filling up the box score and will likely continue to earn plenty of minutes across the final three games of 2018-19. News: Gibson (calf) is listed as out for Friday's game against the Heat. Impact: Gibson came into Friday listed as doubtful, so there was never any real optimism that the veteran forward would play. This will mark eight straight absences for Gibson, and it's unlikely he will return this season. News: Gibson (calf) is doubtful for Friday's game against the Heat. Impact: Gibson appears on track to miss his eighth straight contest after being tagged as doubtful. Assuming he's ultimately ruled out, his next opportunity to return will come Sunday against the Thunder. News: Deng (Achilles) won't play Friday against Miami. Impact: Deng still hasn't taken the court since Feb. 27, and at this point, it's probably a safe bet that he's done for the season, although he hasn't been officially shut down as of yet. His next chance to take the court will come Sunday against the Thunder. News: Saric compiled 14 points (5-14 FG, 2-8 3Pt, 2-2 FT), five rebounds, three assists, and one steal in 30 minutes during Wednesday's 110-108 victory over Dallas. Impact: Saric played 30 minutes for the first time since late February, coming away with 14 points on 5-of-14 shooting. With Taj Gibson (calf) seeming as though he could be done for the season, Saric should continue to see decent minutes, although, he is yet to capitalize. In fact, he has scored in excess of 15 points just once in his last 22 games. He offers very little on the defensive end and is far from consistent when it comes to field-goal efficiency. News: Jones tallied 15 points (6-9 FG, 3-3 3Pt), six assists, and one rebound in 34 minutes during Wednesday's 110-108 victory over the Mavericks. Impact: Jones scored 15 points on 6-of-9 shooting Wednesday, continuing his sold finish to the season. The lack of steals was a bit of downer with many owners likely having him for his ability to rack up the defensive numbers. With Jeff Teague (foot) done for the season, Jones would continue to see big minutes down the stretch and although his upside isn't this highest, he should still be rostered across most formats. News: Towns ended with 28 points (12-15 FG, 4-6 FT), 13 rebounds, three assists, and three blocks in 37 minutes during Wednesday's 110-108 victory over the Mavericks. Impact: Towns put up another impressive performance Wednesday, leading the Timberwolves to a two-point victory over the Mavericks. Of all the fantasy studs, Towns appears the least likely to be rested despite the fact the Timberwolves are out of the running when it comes to post-season basketball. Towns has had a terrific finish to the season but oddly enough, has hit just one three-pointer in his last four games. News: Gibson (calf) is out Wednesday against the Mavericks. Impact: It seems unlikely at this point that Gibson will return this season. That said, things haven't reached that point yet. News: Deng (Achilles) is out Wednesday against the Mavericks. Impact: As expected, Deng will continue to miss time. His next chance to play is Friday against the Heat. News: Wiggins totaled 21 points (7-18 FG, 1-4 3Pt, 6-6 FT), seven rebounds, four assists and a steal over 34 minutes in the Timberwolves' loss to the Trail Blazers on Monday. Impact: Wiggins led the Timberwolves in scoring in Monday's loss, finishing with his seventh consecutive 20-point game. In those seven games, Wiggins has averaged a respectable 21.9 points, 6.0 rebounds and 3.4 assists. Fantasy owners should continue to employ Wiggins in the midst of a hot streak on offense. News: Dieng totaled 18 points (7-8 FG, 1-1 3Pt, 3-4 FT), four rebounds, two assists, one steal and one block over 16 minutes in the Timberwolves' loss to the Trail Blazers on Monday. Impact: Dieng went off for 18 points in just 16 minutes played, adding four boards and two dimes to a solid final stat line. He's been largely ineffective in his limited role off the bench this season, but he's stepped up his production over his last three games in large part due to Taj Gibson (calf) being sidelined. In those contests, Dieng has averaged 15.0 points, 5.7 rebounds, 1.3 steals and 1.0 assists in 18 minutes. Dieng still can't be trusted outside of deep leagues. News: Jones finished with 14 points (7-12 FG, 0-1 3Pt), 10 assists, three rebounds and three steals over 33 minutes in the Timberwolves' loss to the Trail Blazers on Monday. Impact: Jones finished with a double-double in Monday's loss, handing out 10 helpers to go with an efficient 14 points. Jones has now started 10 straight games at point guard with a litany of injuries to the Timberwolves' backcourt, but he's been underwhelming. Jones has averaged 11.2 points, 6.8 assists, 2.4 rebounds and 1.1 steals in 29.9 minutes in those contests. He doesn't offer much fantasy upside. News: Towns finished with 17 points (6-21 FG, 1-4 3Pt, 4-4 FT), 12 rebounds, four assists and two blocks over 32 minutes in the Timberwolves' loss to the Trail Blazers on Monday. Impact: Towns couldn't find his shot on Monday, shooting just 28.5 percent from the floor. He did, however, finish with a double-double and some quality assist and block totals as well. Towns will likely try to finish the season on a positive note in another lost season for the Timberwolves. News: Covington (knee) underwent arthroscopic surgery on his right knee Monday, Jon Krawczynski of The Athletic reports. Impact: Covington elected to go under the knife in an effort to assist his recovery from a bone bruise. A timetable for his return has yet to be released, but more details should surface when he begins to clear hurdles in his rehab. News: Gibson (calf) will not play Monday against the Blazers. Impact: Gibson was initially deemed doubtful, so this shouldn't come as much of a surprise. Monday will be the sixth straight absence for the veteran, who's nursing a strained left calf. News: Deng (Achilles) has been ruled out of Monday's game against the Trailblazers. Impact: Deng will miss his 16th straight game as he continues to deal with a left Achilles injury. The Timberwolves are continuing to monitor the injury on a game-by-game basis, however it wouldn't be very surprising to see him shut down for the remainder of the season. News: Gibson (calf) is doubtful for Monday's game against Portland. Impact: Gibson has missed the last five matchups due to a left calf strain, and it doesn't appear as though he'll return to action in time for Monday's clash. Assuming he's officially ruled out at some point, he'll eye Wednesday's game against Dallas as a potential return date. News: Reynolds pitched in 10 points (3-5 FG, 2-3 3Pt, 2-2 FT), four rebounds, one assist and one block across 18 minutes in the Timberwolves' 118-109 loss to the 76ers on Saturday. Impact: Reynolds saw a bump in minutes Saturday and posted a serviceable line relative to playing time. The rookie should retain a spot in the backcourt rotation for what remains of the regular season with Derrick Rose (elbow) and Jeff Teague (foot) already sidelined for the rest of the campaign. Reynolds has now seen double-digit minutes in consecutive games. 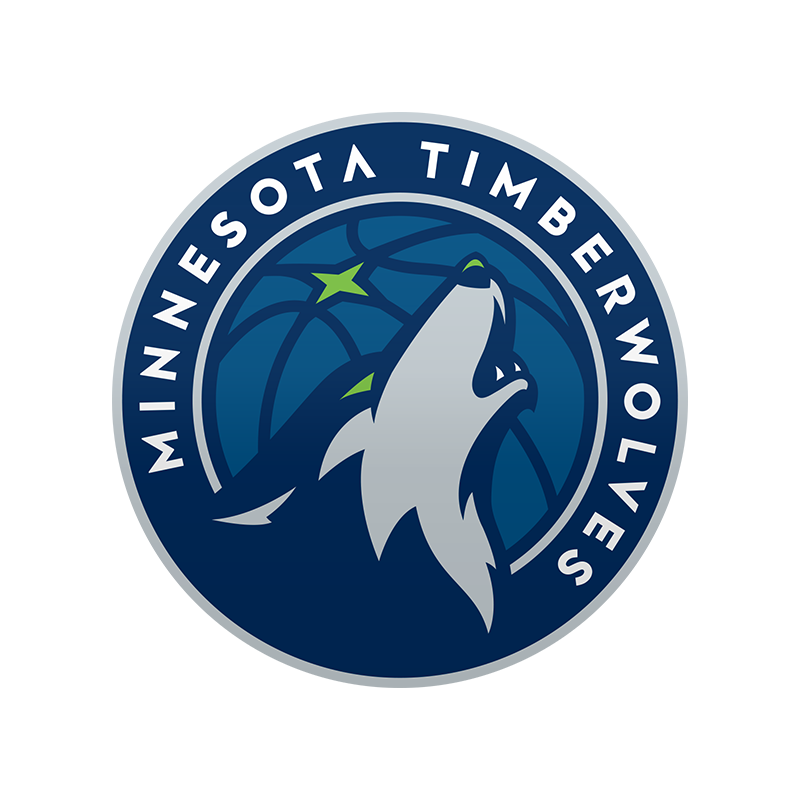 News: Dieng furnished 13 points (6-8 FG, 1-1 3Pt), three rebounds and one steal across 16 minutes in the Timberwolves' 118-109 loss to the 76ers on Saturday. Impact: Dieng continues to see a slight bump in opportunity during the ongoing absence of Taj Gibson (calf). The veteran big man now has back-to-back double-digit scoring efforts for the first time since the first three games of the season, and he's accomplished the feat in three of his last five contests overall. News: Towns turned in 21 points (8-17 FG, 0-3 3Pt, 5-8 FT), seven rebounds, two assists and one block across 32 minutes in the Timberwolves' 118-109 loss to the 76ers on Saturday. Impact: Towns didn't have his usual prolific rebounding performance, but he still turned in a serviceable line overall one night after sinking a game-winning free throw versus the Warriors. The big man saw his streak of five straight double-doubles snapped, yet he finished March with typically stellar averages of 27.3 points, 12.9 rebounds, 3.8 assists and 1.1 blocks across 32.3 minutes. News: Wiggins supplied 24 points (9-18 FG, 2-5 3Pt, 4-4 FT), six rebounds, five assists and two blocks across 36 minutes in the Timberwolves' 118-109 loss to the 76ers on Saturday. Impact: Wiggins checked in as the top scorer for the T-Wolves on the night, extending his recent hot stretch of play. The 2014 first overall pick has scored 20 points or more in six straight games, shooting at least 50.0 percent in three of them. Efficiency on offense has been an issue all season for Wiggins, but he's finishing up the campaign on a better note after having generated a respectable 45.6 percent success rate in March, including 34.6 percent from three-point range. News: Gibson (calf) has been ruled out for Saturday's game against Philadelphia. Impact: Although Gibson is active, he'll miss his fifth-straight game Saturday. Dario Saric should continue getting a boost in minutes as long as Gibson remains out. News: Creek has signed a 10-day contract with the Timberwolves. Impact: Creek played four games earlier in the year for the Nets while on a 10-day deal, totaling 15 points, 10 rebounds, five assists and one steal in 36 minutes. He's spent most of his time in the G League this season, averaging 15.3 points, 5.5 rebounds and 2.3 assists in 30.5 minutes. News: Gibson (calf) is doubtful Saturday against the 76ers. Impact: Gibson hasn't played over the past four games, and it's unlikely he makes his return Saturday. Assuming he's out, Dario Saric should continue seeing extra run. News: Bayless finished with 17 points (5-11 FG, 2-6 3Pt, 5-6 FT) and six assists in 26 minutes during Friday's 131-130 overtime win against the Warriors. Impact: Bayless provided more points and assists than starting point guard Tyus Jones in this one. With Derrick Rose (elbow) and Jeff Teague (foot) both out for the season, Bayless has earned at least 16 minutes in eight straight appearances. However, he's not the most consistent contributor, and he's best reserved for use in deeper leagues that value counting stats more than efficiency. News: Tolliver posted 14 points (3-6 FG, 3-4 3Pt, 5-6 FT), nine rebounds, and one assist in 30 minutes during Friday's 131-130 overtime win against the Warriors. Impact: Tolliver was one of four Timberwolves to earn at least 30 minutes in this one, and he earned seven more minutes than starting power forward Dario Saric. The 33-year-old veteran was coming off a scoreless effort, and he has just as many of those across the last 10 games as he does double-digit showings. Regardless, Tolliver has earned 20-plus minutes in each of the last three matchups, while Taj Gibson (calf) has missed the last four. If Gibson remains sidelined for Saturday's tilt against the 76ers, Tolliver could be in line to receive ample minutes yet again. News: Dieng delivered 14 points (7-11 FG, 0-1 3Pt), 10 rebounds, two steals, one assist, and one block in 22 minutes during Friday's 131-130 overtime win against the Warriors. Impact: Dieng stepped up and produced an impressive stat line while Taj Gibson (calf) missed his fourth straight game. This is Dieng's first double-double through 69 appearances this season. Still, he has earned double-digit minutes in each of the last four games while swiping exactly two steals in three of those and reaching double figures in scoring twice during this same stretch. Those considering Dieng for Saturday's showdown versus the 76ers would be wise to check on Gibson's status prior to tipoff. News: Okogie contributed 21 points (6-11 FG, 3-5 3Pt, 6-8 FT), five rebounds, four steals, and one assist in 41 minutes during Friday's 131-130 overtime win against the Warriors. Impact: Okogie matched his career high scoring total, posting 21 points for the third time this season and the second time across the last six games. Moreover, Okogie has reached double figures in scoring in five of the last six contests. He also matched his career high in steals in this one, as he delivered one of his top performances against the two-time defending champions. News: Gibson (calf) will not play in Friday's game against the Warriors, Dane Moore of ZoneCoverage.com reports. Impact: This will be Gibson's fourth straight absence with a calf strain, and with the regular season winding down, it wouldn't be surprising to ultimately see the team shut him down. Dario Saric will continuing shouldering the workload at power forward with Gibson sidelined. News: Gibson (calf) is doubtful for Friday's matchup against the Warriors. Impact: Gibson is set to miss a fourth straight contest due to a calf strain, but the Timberwolves won't rule him out definitively yet. Chances are, he'll attempt to go through morning shootaround before his status is updated. In the meantime, Dario Saric should continue starting and seeing extra usage. News: Deng (Achilles) won't play Friday against the Warriors. Impact: Deng has been sidelined since Feb. 28, and time is running out for him to make his return before the end of the regular season. His next chance to play is Saturday against the 76ers. News: Jones produced 13 points (5-9 FG, 3-3 3Pt, 0-1 FT), eight assists and two rebounds over 30 minutes in the Timberwolves' loss to the Clippers on Tuesday. Impact: Jones scored in double-digits for the fourth straight game, handing out a healthy eight assists in Tuesday's loss. Jones has seen his playing time rise to 33 minutes per game over his last four contests, producing averages of 12.3 points, 7.8 assists, 2.8 rebounds and 1.0 steals in that span. Expect similar production as the season wanes. News: Saric finished with 18 points (7-10 FG, 2-3 3Pt, 2-2 FT), five rebounds, one assist and one steal over 27 minutes in the Timberwolves' loss to the Clippers on Tuesday. Impact: It was business as usual for Saric in Tuesday's win, as he produced another decent scoring total on an efficient 70.0 percent shooting. Although he's averaging just 10.2 points per game this season, he's averaged 14.3 points over his last four games, adding 5.5 boards. News: Wiggins totaled 22 points (9-21 FG, 2-3 3Pt, 2-5 FT), thee rebounds, three assists and two steals over 35 minutes in the Timberwolves' loss to the Clippers on Tuesday. Impact: Wiggins turned out his fourth consecutive 20-point scoring night, adding some good counting stats to boost his final stat line. He continues to shoot poorly, but the points keep coming, efficient or not. Averaging 37.3 minutes per game over his last four, Wiggins will continue to see big-time usage in the final few weeks of the NBA season. News: Towns finished with 24 points (6-17 FG, 2-7 3Pt, 10-11 FT), 13 rebounds, three assists and two steals over 35 minutes in the Timberwolves' loss to the Clippers on Tuesday. Impact: Towns produced yet another big double-double in what has been a string of huge performances for the big man as of late. Towns is averaging 27.0 points, 15.3 rebounds, 4.3 assists and 1.3 blocks per game over his last six contests, and more big games could be on tap as the Timberwolves play for pride to finish out the season. News: Gibson (calf) is active for Tuesday's game against the Clippers, but he will not play. Impact: It seems Gibson has recovered from his injury, but the team will give him the night off regardless. Dario Saric figures to continue seeing an uptick in workload. News: Gibson (calf) is doubtful for Tuesday's game against the Clippers, Kent Youngblood of the Minneapolis Star Tribune reports. Impact: Gibson has missed the last two games with a strained left calf and is on track to be sidelined for a third. Anthony Tolliver and Keita Bates-Diop will continue shouldering the reserve frontcourt minutes in Gibson's absence. News: Deng (Achilles) has been ruled out for Tuesday's game against the Clippers, Kent Youngblood of the Minneapolis Star Tribune reports. Impact: Deng has been sidelined for nearly a month, and at this point in the season, the Timberwolves don't really have a reason to bring the veteran back. However, with no update on his timetable, he'll continue to be day-to-day. News: Tolliver amassed six points (2-6 FG, 2-6 3Pt), three assists, three blocks, and two rebounds in 22 minutes during Saturday's 112-99 win over the Grizzlies. Impact: Tolliver stepped up with a season high block total while playing the role of primary backup power forward behind Dario Saric, who earned 26 minutes. In the event that Taj Gibson (calf) isn't ready to return for Tuesday's matchup with the Clippers, Tolliver would likely be in line to see decent minutes once again, although it's also entirely possible that coach Ryan Saunders will soon begin funneling more minutes toward the younger players given that the team has already been eliminated from playoff contention. News: Okogie collected 17 points (5-11 FG, 1-3 3Pt, 6-6 FT), six rebounds, four assists, one steal, and one block in 33 minutes during Saturday's 112-99 win over the Grizzlies. Impact: Okogie filled up the stat sheet while earning at least 30 minutes and reaching double figures in scoring for the fourth straight game. With the Timberwolves dealing with a laundry list of injuries (Robert Covington, Derrick Rose, Jeff Teague all out for the rest of the season, Luol Deng and Taj Gibson listed as day-to-day), Okogie is likely to continue receiving a lot of playing time across the last nine games of his rookie campaign. News: Towns totaled 33 points (12-20 FG, 4-7 3Pt, 5-5 FT), 23 rebounds, three assists, one steal, and one block in 33 minutes during Saturday's 112-99 win over the Grizzlies. Impact: Towns hauled in 20-plus boards for the second time in the last three games, and for the eighth time through 70 appearances this season. The 23-year-old big man has continued to raise his scoring average (24.7 per game) as the year has progressed, and he could ultimately surpass his previous career high in that area (25.1 points per game in 2016-17). Regardless, he's averaging career highs in rebounding, assists, threes, and steals while matching his best blocks average. Despite the fact that the Timberwolves have been eliminated from playoff contention, Towns and company seem to be focused on finishing strong and building some positive momentum heading into the offseason. News: Gibson (calf) won't play Saturday against the Grizzlies. Impact: Gibson will sit out for a second straight game while recovering from a strained left calf. Dario Saric is a candidate to benefit from Gibson's absence. News: Rose (elbow) underwent a successful surgery to remove bone chips from his right elbow Saturday. Impact: While the fact that the surgery was successful is a good sign that Rose is still on track to make a full recovery, it doesn't alter his original timeline for recovery at all. The veteran guard, who was having a strong year averaging 18.0 points and 4.3 assists per game, is still expected to miss the rest of the season but should be ready for the start of the 2019-20 campaign. News: Gibson (calf) is listed as questionable for Saturday's game against the Grizzlies. Impact: Gibson was held out of Thursday's game against the Hornets due to a left calf strain he sustained Tuesday against Golden State. He will likely end up being a game-time decision Saturday. News: Deng (Achilles) is out Saturday against the Grizzlies. Impact: Deng continues to be day-to-day despite not having played since Feb. 28. His next opportunity to see the floor is Tuesday against the Clippers. News: Dieng produced 10 points (5-6 FG, 6-9 FT), five rebounds, two blocks and two steals in 15 minutes Thursday in the Timberwolves' 113-106 loss to the Hornets. Impact: The absence of top bench big man Taj Gibson (calf) resulted in Dieng stepping in as the third man in the Timberwolves' frontcourt rotation and cracking double-digit minutes for just the second time this month. Dieng would likely stick in the 15-to-20-minute range if Gibson misses more games due to the injury, but that's probably not enough playing time to make Dieng anything more than a deep-league consideration. News: Saric finished with 15 points (5-10 FG, 2-3 3Pt, 3-4 FT), seven rebounds and an assist over 28 minutes in the Timberwolves' loss to the Hornets on Thursday. Impact: Saric had a decent showing in Thursday's loss, though his nightly stat lines regularly leave much to be desired. In 16 games since rejoining the starting lineup, Saric is averaging 10.6 points, 5.9 rebounds and 1.5 assists per game - numbers that are nothing to get excited about save for deep leagues. News: Wiggins finished with 20 points (8-15 FG, 1-3 3Pt, 3-7 FT), five rebounds, two assists and a steal over 38 minutes in the Timberwolves' loss to the Hornets on Thursday. Impact: Wiggins finished just one off of the team-lead in scoring behind Karl-Anthony Towns in Thursday's loss. Wiggins is averaging his fewest points per game (17.5) since his 2014 rookie season due mainly to the worst shooting mark of his career (39.8 percent). Still, he has a great opportunity for increased production. With injuries piling up in the Minnesota backcourt, Wiggins' role on offense should be extensive down the stretch. News: Jones finished with 14 points (6-15 FG, 1-3 3Pt, 1-1 FT), seven assists, two rebounds and two steals over 34 minutes in the Timberwolves' loss to the Hornets on Thursday. Impact: Jones put together another solid effort in Thursday's loss, drawing another start. With Jeff Teague (foot) and Derrick Rose (elbow) officially shut down for the remainder of the season, expect Jones to see heavy minutes as the team's starting point guard. The former Final Four Most Outstanding Player should be a big fantasy asset across all formats for the remainder of the season. News: Towns produced 21 points (7-17 FG, 2-4 3Pt, 5-6 FT), 16 rebounds, six assists, two blocks and a steal over 34 minutes in the Timberwolves' loss to the Hornets on Thursday. Impact: Towns followed up a 26 point, 21 rebound game against Golden State with another huge stat line on Thursday. Over his last four games, Towns has averaged an extremely productive line of 27.0 points, 13.3 rebounds, 4.3 assists and 1.3 blocks as one of the league's most valuable fantasy big men. News: Gibson (calf) is out for Thursday's matchup against the Hornets. Impact: Gibson's strained left calf will keep him sidelined Thursday. As a result of his absence, Dario Saric and Anthony Tolliver should see extra usage. News: Towns is playing through a sore knee, Jon Krawczynski of The Athletic reports. Impact: This isn't exactly new information, as Towns has missed three games over the last month with a sore knee, but he continues to play through the ailment, even as the Wolves fall further out of the playoff picture. Towns has played 32.2 minutes per game over his last 11 contests, and while he continues to be among the league's best fantasy assets, it's possible the Wolves could hold him out of a few games down the stretch for precautionary reasons. News: Teague (foot) has been ruled out for the remainder of the 2018-19 campaign. Impact: Teague has been sidelined over the past four games after reaggravating a foot injury that he originally suffered in December. Teague received an injection designed to treat chronic inflammation on Tuesday, and the point guard will wear a boot and is scheduled to be re-evaluated in three weeks. Teague will end the year having played just 42 games -- the fewest of his career. In 30.1 minutes, he averaged 12.1 points, 8.2 assists, 2.5 rebounds and 1.0 steal. For the rest of the season, Tyus Jones should see an increased role. News: Rose is expected to miss the remainder of the season after an MRI revealed a chip fracture and loose body in his elbow. Impact: Rose has been sidelined for the last four games with lingering elbow soreness, and with the MRI revealing some internal problems that have led to swelling, it looks like the Wolves are just going to shut the veteran down. After a tough 2017-18 season, Rose bounced back in impressive fashion this year and averaged 18.0 points and 4.3 assists per game for Minnesota. With Jeff Teague (foot) also being shut down, Tyus Jones will remain the team's starting point guard for the rest of the season. News: Covington (knee) has been ruled out for the remainder of the season. Impact: It appeared Covington was making progress with his bruised right knee, but he suffered a setback. And with the Timberwolves essentially out of the playoff hunt, there's little reason to rush the forward back. Covington appeared in 22 games for the Wolves after being dealt there by the Sixers. After the trade, he averaged 14.5 points, 5.7 rebounds, 2.3 steals, 1.5 assists and 1.1 blocks in 34.7 minutes. He also drilled 2.5 threes per contest and established himself as a quality fantasy asset. Covington will likely open the 2019-20 season in the Wolves' starting lineup. News: Teague (foot) is out Thursday against the Hornets. Impact: Left foot inflammation will force the point guard to miss a fifth straight contest. He should still be considered day-to-day, with his next chance to play arriving Saturday against the Grizzlies. News: Deng (Achilles) will remain sidelined Thursday against the Hornets. Impact: Left Achilles soreness will keep Deng out for another game, and he hasn't seen the floor since Feb. 27. He remains day-to-day, with his next chance to play arriving Saturday against Memphis. News: Rose (elbow) is listed as out for Thursday's game in Charlotte. Impact: This will be Rose's fifth straight absence with lingering soreness in his elbow, and there doesn't appear to be a return on the horizon for the veteran guard. With Jeff Teague (foot) still sidelined, Tyus Jones will once again assume the role of Minnesota's starting point guard Thursday. News: Covington (knee) is out for Thursday's matchup against the Hornets. Impact: There was hope Covington would be back by now, but the discomfort associated with his bruised right knee remains. His next chance to take the floor arrives Saturday against the Grizzlies. News: Gibson (calf) is listed as questionable for Thursday's game against the Hornets. Impact: Gibson was forced out of Tuesday's game against the Warriors with a left calf strain and did not return. It looks like he'll end up being a game-time decision Thursday, but if he's unable to play, Dario Saric would likely shoulder an even heavier workload at power forward with Anthony Tolliver potentially seeing added minutes as a reserve. News: Jones finished with 10 points (3-14 FG, 0-3 3Pt, 4-4 FT), seven assists, four rebounds and a steal over 33 minutes in the Timberwolves' loss to the Warriors on Tuesday. Impact: He drew another start with Jeff Teague (foot) and Derrick Rose (elbow) both on the shelf and came away with a decent stat line in Tuesday's loss. Jones doesn't have a high ceiling, but he has a pretty solid floor with his assist and steal totals buoying some bad scoring nights. News: Okogie produced 19 points (6-9 FG, 3-6 3Pt, 4-6 FT), four rebounds, three steals and an assist over 30 minutes in the Timberwolves' loss to the Warriors on Tuesday. Impact: As expected, Okogie drew another start on Tuesday and played heavy minutes. He's now averaged 20 points per game over his last two contests and will look to continue building momentum on Thursday at Charlotte. News: Wiggins finished with 20 points (8-19 FG, 1-8 3Pt, 3-4 FT), eight rebounds, six assists and a steal over 41 minutes in the Timberwolves' loss to the Warriors on Tuesday. Impact: Wiggins had a big game on Tuesday, despite losing to the Warriors. He stuffed the stat sheet with solid contributions in scoring, rebounding and assists. The former Jayhawk has seen his scoring average and field goal percentage decline for three straight years, and though Wiggins is a serviceable fantasy option, he's proven that he wasn't worth the huge five-year extension the Timberwolves signed him to in 2017. News: Towns produced 26 points (10-16 FG, 2-3 3Pt, 4-6 FT), 21 rebounds, four assists and a steal over 35 minutes in the Timberwolves' loss to the Warriors on Tuesday. Impact: Towns produced his sixth 20-point, 20-rebound game of the season in Tuesday's loss. It's his second such game in his last 10 contests, and over that productive stretch, he's averaged 32.8 points, 13/1 rebounds, 3.7 assists and 1.3 blocks. News: Gibson has been deemed doubtful to return to Tuesday's tilt against the Warriors due to a left calf strain, Jon Krawczynski of The Athletic reports. Impact: Gibson provided just one rebound across nine minutes before exiting the game. Should he ultimately not return as expected, consider him day-to-day heading into Thursday's matchup with the Hornets. News: Deng (Achilles) is listed as out for Tuesday's matchup against the Warriors, Jon Krawczynski of The Athletic reports. Impact: Deng will be missing his 10th consecutive contest as a result of his hampering left Achilles injury which he suffered back on Feb. 27 against the Hawks. Andrew Wiggins will presumably start again Tuesday, and since Deng will be sidelined, Keita Bates-Diop is a prime candidate to play the backup role versus the Warriors and as long as Deng remains inactive. News: Rose (elbow) will be sidelined for Tuesday's contest against the Warriors, Jon Krawczynski of The Athletic reports. Impact: Rose's injury-plagued season continues as the former MVP will be missing his fourth straight game due to lingering elbow soreness. With Jeff Teague (foot) out as well, Tyus Jones is presumably in line for a start Tuesday against the Warriors with Jerryd Bayless filling in off the bench. News: Deng (foot) is listed as doubtful for Tuesday's game against the Warriors. Impact: Deng looks as though he will miss his eleventh straight contest as he continues to deal with a sore Achilles. More information on his status should come out following the team's Tuesday morning activities. News: Rose (elbow) is listed as doubtful for Tuesday's game against the Warriors. Impact: Rose has missed the past three games as he continues to deal with a sore elbow. Usual starter Jeff Teague has already been ruled out, so it looks like Tyus Jones will continue to start. More information should come out on Rose's status Tuesday, however all signs are pointing to him sitting out once again. News: Teague (foot) is listed is listed as out for Tuesday's game against the Warriors. Impact: Teague is slated to miss his fourth straight as he continues to deal with left foot inflammation. With backup guard Derrick Rose doubtful, Tyus Jones will likely start once again. Teague should be considered questionable for Thursday's game against the Hornets.